Free Nissan VIN Decoder | Vehicle History, Specs, Recall Info and more! The free Nissan VIN decoder lets you check vital information about the vehicle like the country of origin, restraint type, make and model. Enter your Nissan VIN below and click on the Decode VIN button to start your vehicle research. Automotive research firm iSeeCars reviewed millions of recalls issued over the past 31 years using recall history data from the NHTSA. According to its report, Nissan had 1,038 recalls per 1,000 new vehicles sold between 1985 and 2016 with nearly 29 thousand cars recalled. They’ve also been affected by the Takata air bag recall which involve front passenger air bag inflators. If you are not sure if your vehicle is affected, you can do a VIN number check to confirm if there are any recalls specific to your Nissan. If your vehicle has been affected by a recall, contact your Nissan dealer to schedule the free repair immediately. For additional information, you may contact Nissan Consumer Affairs at 1-888-546-1048. Search for Nissan safety recalls announced in the past 15 calendar years using the VIN. How to Decode a Nissan VIN? 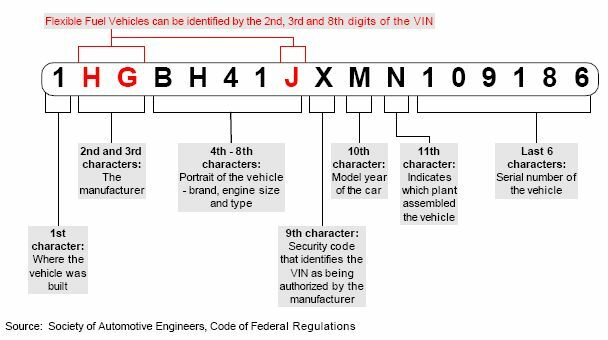 Check out the VIN decoding diagram below to see how each digit or section in the 17-digit string is decoded. Each character or set of characters within a Nissan VIN indicates specific vehicle information including the vehicle’s model and model year, make, where it was manufactured, and more. Here is a sample Nissan VIN, JN6HD16Y6GW000812, which we have decoded using the diagram above and the Nissan decoding chart. VinCheck.info’s free Nissan VIN decoder instantly provides more than these vehicle specifications plus a full vehicle history report. We also provide information on the market value, equipment details, fuel efficiency, safety rating, current warranty, recalls and defects of a Nissan vehicle. When looking for replacement parts, you can shop at the Nissan eStore, your online destination for genuine Nissan parts and accessories. You can easily view and purchase the parts you need that are designed specifically for Nissan vehicles. Nissan genuine parts are covered by a warranty. Why should I use a Nissan VIN Decoder? Check for basic vehicle data available prior to purchase. Check for the vehicle’s build to know the matching parts in case of replacement or repair. Check for consistency of vehicle information from vehicle documents or disclosed by the seller. Check for fake VIN or cloned VIN. Look out for red flags indicating that the VIN is not for the car or the vehicle you are buying. Check out VinCheck.info resources on Nissan which could be important to you as an owner or a buyer. For more interesting facts about Nissan, Nissan vehicles or to get a free Nissan vehicle history report, visit our Nissan VIN Check page. Enter your VIN below and run a Free Nissan VIN decoder in seconds!